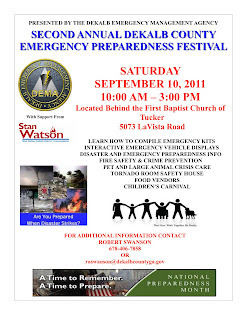 Click on the image below for full-size flyer. If you have questions for Jo, you may reach her at 404-633-7007. CERT (Community Emergency Response Team) is a program that trains citizens to assist in emergency response. Additional information on the program is available. MANA is encouraging its members to attend this activity and consider additional training. For example, emergency response plans could be coordinated through our Neighborhood Watch program. More info on Dekalb Co. Emergency Management here --->This link includes additional information on the actual course as well as an application form.